Everyone is important at Solid Rock! Our warm, family atmosphere is felt by all who walk through our doors whether young, old, married or single. We are a church who loves God, loves one another and loves people. You will discover that SRCC is truly a family in which relationships matter most. Growing together, we worship, we serve, we laugh, we cry, we learn, and we reach out to our community with the life-transforming truth of Jesus. 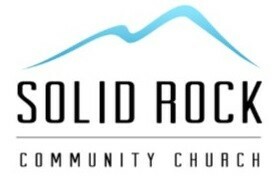 If you have been praying, searching or hoping for a place to belong we welcome you to Solid Rock!